As you probably know already – anyone can sell practically anything on Craigslist, the super easy-to-use, free, online marketplace that conveniently connects buyers and sellers from the same neighbourhood. It’s a great place to sell stuff you don’t want or need anymore and also make some useful extra cash in the bargain. From that old baseball glove that you don’t use anymore to that carefully packed Xbox lying somewhere at the back of your closet; Craigslist will probably find you a buyer for everything. But as seasoned sellers will agree, while posting something on Craigslist for the purpose of the sale is easy enough, selling it fast enough is nothing short of an art form. To get top dollar for your old stuff on Craigslist, you need to ensure that you have all the pieces of the puzzle ready – from a smart sales plan, a selection of awesome pics of the stuff you want to sell, an attractive price and of course, an excellent sales pitch in the form of the advertisement itself. 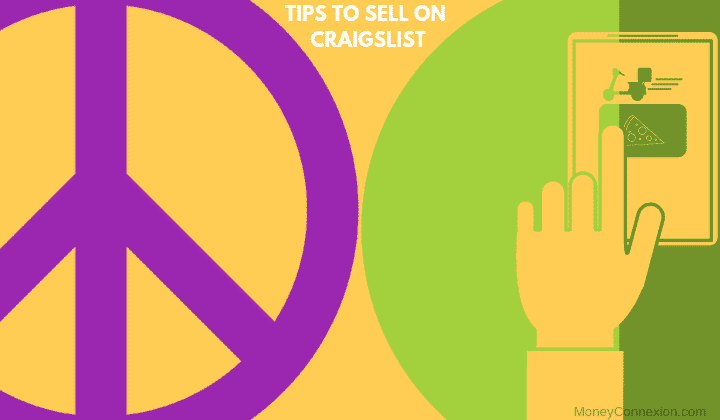 To make it simpler for you, we have listed below a few tips and tricks which will allow you to sell on Craigslist safely– without breaking into a sweat. This is a common mistake made by first time sellers. They tend to jump into posting the ad without doing the required research. Craigslist is a very competitive marketplace, and chances are there are others selling the exact same stuff as you. So do your due diligence to find the best price and writing the best description for the items you want to sell on Craigslist before posting them online. Buyers are more likely to contact who provide the maximum details with a competitive price. Items supported by great pictures tend to sell on Craigslist much faster than usual. In other words, a good image can be your best friend. With four pictures allowed per post, you might as well make the most of it and whip out your high-resolution digital camera to do the needful. One last thing low-resolution, fuzzy images are a strict no-no and do remember to clean up your stuff as much as possible before clicking the pictures. Also Read: How to Sell Art Online? Ok, so you don’t need to be an award-winning copywriter to do this. The headline is the first thing that potential buyers are going to see so make sure it’s attractive and peaks their interest so that selling on Craigslist is way more straightforward for you. Using the right keywords is also a must – because that’s the way buyers search for the items they want to buy on Craigslist. Also, try to include maximum searchable terms, but not at the cost of making your title appears to be confusing. If you set it too low – buyers may question the quality of the items, too high and you might not find any takers. The trick is to price them just right. Check the prices of the items which are similar to yours and made available to sell on Craigslist. One neat trick is to price your stuff approx. 20-30% above your lowest price. This way if a buyer makes a ridiculously low offer, you will still have room to manoeuvre. As mentioned earlier, buyers are usually looking for a good deal on Craigslist. And you need to convince them that they are in fact getting a great deal. So keeping a buffer when setting the price you want, always works for a smooth Craigslist sell. For example, if the lowest price you’re looking for your old phone is $200, it makes sense to price it around $230, leaving ample room for the buyer to negotiate. This ay they walk away happy at getting a good deal and get the price you want. If you are not able to find a buyer in the 48 hours since you made the post live, there is a chance it no longer figures at the top of buyer search queries. All you need to do is delete the post and then re-post it after 48 hours since Craigslist rules do not allow a post to be re-posted before that. This is an excellent method to sell stuff on Craigslist efficiently which will help you to top the buyer's search queries. And don’t worry you will not have to re-write an entirely new post. It’s possible to retrieve and repeat the same post even after deleting it. This will help interested sellers get in touch with directly. Many older buyers are not very tech-savvy and prefer making contact over the phone, rather than an email. It’s a much faster, more direct way of selling on Craigslist since the details can be confirmed instantly. Sending emails back and forth tends to slow down the sales process considerably. Also sharing your phone number creates the right first impression – that you are a genuine and motivated seller. A buyer looking to buy big-ticket items like a used car or antique furniture on Craigslist would like to have as much information about them as possible. This is often not possible with a single post. So if you have a high-value item(s) for sale, you could try creating a simple, free blog or website detailing the things you wish to sell on Craigslist via platforms like WordPress or Blogger. Not only will you get to add as many pictures & details as you want, but sharing a link to it on your Craigslist post will also help you sell the things on Craigslist faster. Overzealous sellers often overlook this point. It’s especially crucial for sellers wanting to sell big items like pieces of furniture, a washing machine or even a car. While you may find a buyer for them online, a buyer will also expect you to take care of the delivery aspects. So if you don’t happen to own a mini-truck or even an alternate plan in place (like hiring a U-Haul truck) to get the stuff delivered – then you may have a problem. Worse-case scenario, the buyer may cancel the sale altogether leaving you back where you started. These will usually be listed on the right sidebar of your Craigslist homepage. They provide an excellent avenue for you to reach out further to nearby CL communities, thereby increasing your odds of selling on Craigslist faster drastically. The only downside, if you can call it, that is you will have to write a new post for every additional CL community that you post on since there is no facility to replicate the original post you wrote. This may not qualify as an expert tip to sell on Craigslist quickly, but it’s an important word of advice for first time sellers. For all its simplicity and easy-to-use features, Craigslist is not quite the right place to offload your really, really expensive stuff. It’s mostly about ordinary folks looking for a great deal on everyday use stuff, so any attempt to sell expensive designer items may not find the right buyer or attract the wrong kind (scammers, conmen) who are always on the lookout for deals like this. Again some good, old-fashioned common sense advice for rookie sellers. In your excitement at finding a potential buyer for the items, you wish to sell on Craigslist, don’t go ahead and agree to meet the buyer in an isolated location. However convincing he/she may sound on the phone, the person is a stranger to you and hence meeting in a public place like a shopping mall or restaurant makes more sense. Also if you happen to strike a deal accept the payment in cash or money order only. Always use a separate email address and never share more information than absolutely necessary. For many millennials, Craigslist has been around for the most part of their adult lives and has contributed to their overall internet experience as much as Google and Wikipedia. This is also probably the reason why this humble online marketplace attracts an estimated 60 million people every month – making it one of the best options to list and sell your stuff online – for free. So, before you throw anything away the next time, think about this more lucrative option to sell on Craigslist for free. This will not only help de-clutter your home of stuff you no longer want/or use, but it’s also an excellent opportunity for you to make some decent money in the bargain. A senior journalist, editor and digital content writer, Mumbai-based Rajesh Kulkarni writes on an eclectic mix of topics in keeping with his motto – Variety is the Spice of Life.